Should you hold fire before investing in a new PMP? 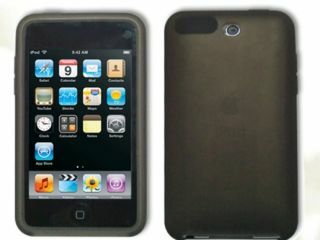 iPod touch camera pics kicked off rumours of a new video-capable iPod touch... Yet no such device has been annouced by Apple. Yet. Apple launched a new 64GB model iPod touch earlier this month, although one thing that was conspicuous by its absence from Apple's new PMP was the addition of a video camera. What made the lack of video-camera add-on even more bizarre for many was the fact that Apple's new iPod nano range did get a basic video-camera added in. MacRumors reports that earlier leaked, pre-release pictures of the new iPod touch that did show a camera on the device were actually the real thing, and not a 'Photoshop job' as many suspected. "While there has been an ongoing belief that Apple was indeed planning a camera module in the latest iPod touch, one reader has found the most convincing proof when comparing the iFixit teardown of the new iPod touch with the previously leaked images of an iPod touch with camera," notes MacRumours. The evidence seems to point to the fact that the camera was originally there and then was removed prior to the official iPod touch announcement on 9/9/09. TechRadar imagines that Apple will add a video camera to the iPod touch pretty soon, although as ever, Apple is remained tight-lipped on the matter. For now it wants to concentrate on promoting the gaming capabilities of its new third-gen iPod touch. When quizzed on the non-appearance of a camera-equipped iPod touch last week, an Apple rep merely swerved the question and told us that the focus for this Christmas holiday season was squarely on selling as many video-capable iPod nanos and (non video-capable) reduced-price iPod touches as possible. Head over to iFixit for the fully-detailed iFixit breakdown of the innards of the new Apple iPod touch.